Image credit: Image c/o NASA. Uploader comment: A million megaton bang! 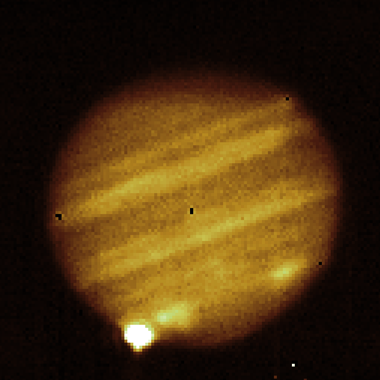 Comet Shoemaker-Levy 9 strikes Jupiter in July 1994, providing the first direct observation of a collision of Solar System objects.